For online shoppers, “Discounted products” is a much-awaited major event that is similar to the anticipation of the lottery results. 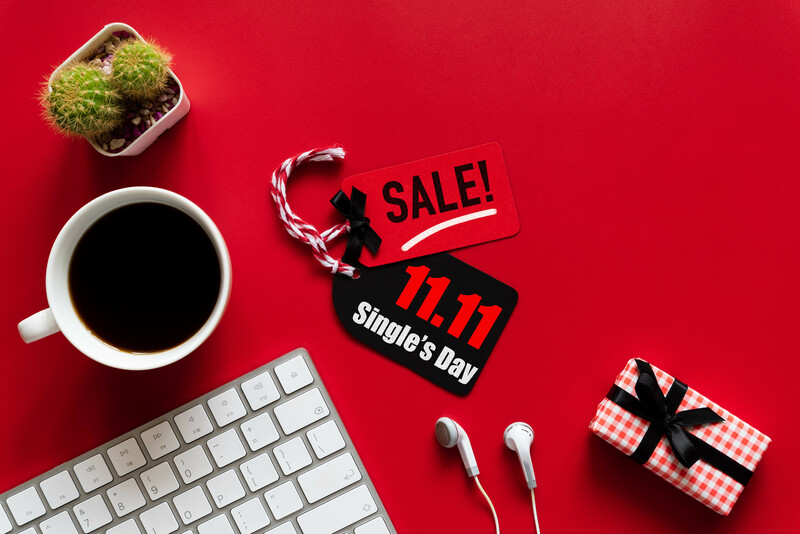 The big event that has just recently passed was the “11.11 Sales” or the “Singles’ Day Sales”. Next in line is “Black Friday” (23 Nov 2018), even though does not create as much buzz in Thailand, but it still helps to create significant revenue to the e-commerce stores. For those who missed both of these events, there is still the “12.12 Sales” event prior to the New Year’s festivities. 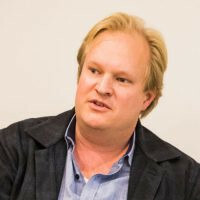 It is believed that for both new and old e-commerce stores, a detailed analysis of their “bottom line” is studied very carefully prior to announcing their festive promotions. 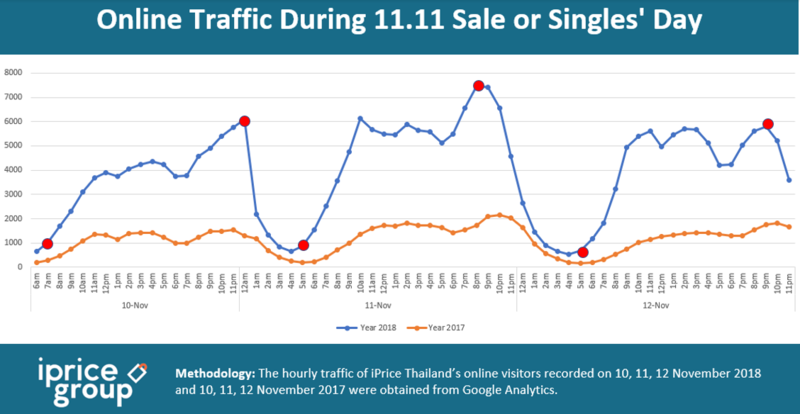 iPrice, an online price comparison website, has compiled information of online visits during the “11.11 Sales” festival between the dates of the 10th, 11th, and 12th for the years 2017 and 2018, to reveal certain information that you might not be aware of. Starting from November 10th (pre-Singles’ Day), people were starting to shop online from 7.00 hrs. onwards, which is similar to 2017. However, there was a difference in 2018 in which the website visitors climbed steadily but declined slightly at 13.00, 18.00 and 19.00 hrs. Thereafter, the numbers rose again until midnight. This behavior differs from 2017, in which the number of visitors fluctuated throughout the day. On November 11th, or “11.11”, the number of visitors started to show from 5.00 – 9.00 hrs., after which the visitors slightly reduced from 11.00 – 17.00 hrs. After that, the numbers increased back again until 20.00 hrs. which is the most visited time of the year. This behavior is different from 2017 in which the number of visitors started to show an increase at 6.00 hrs., and decreased slightly between 17.00 – 20.00 hrs. followed by a peak at 22.00 hrs. Finally, on November 12th 2018, in which there were several giant e-commerce stores that continued to offer additional promotions. As a result, the time of visit was similar to that of the Singles’ Day. Statistics showed that visitors started their visits from 5.00 – 11.00 hrs., with a slight decrease at 12.00 – 18.00 hrs. Thereafter, the number steadily increased and finally peaked at 21.00 hrs. This is the opposite to the behavior recorded in 2017, in which the number of visitors also started their visits from 5.00 hrs., but it increased steadily and peaked at 22:00 hrs. Of course, the provinces with the highest number of visitors was Bangkok. 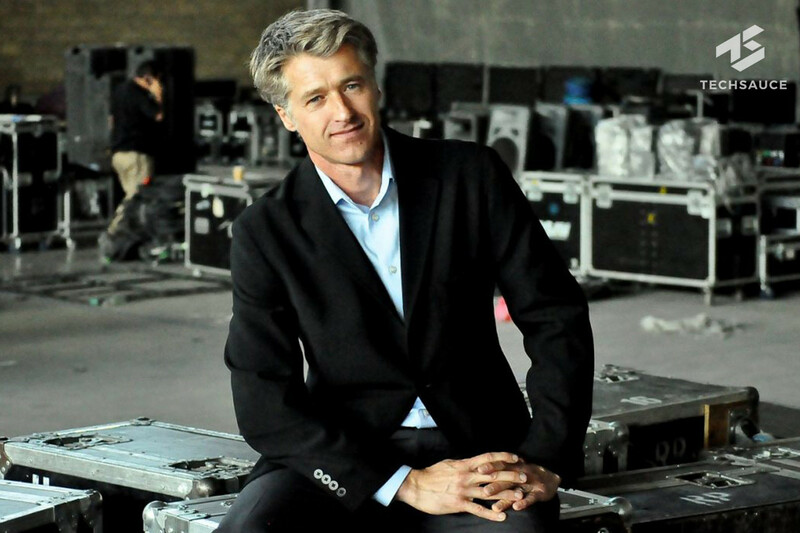 This is due to the fast and convenient transportation, or even the promotion of more campaigns than other areas. This is followed by Chonburi, which is not far from Bangkok and also has an efficient transportation network. Next is Chiang Mai, another big city that can be referred to as the capital of the north. Following closely are Nakhon Ratchasima, Nakhon Pathom, Khon Kaen, Nonthaburi, Ayutthaya, Surat Thani, and Songkhla respectively. 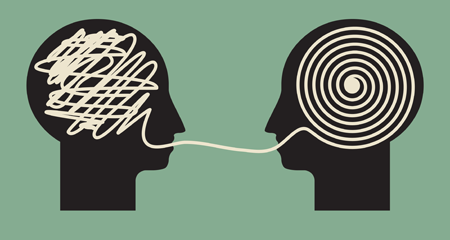 It is apparent that most online shoppers already have a particular store in their mind already for their intended purchases. As a result, searches for discounts are usually followed by the e-commerce store names, such as ‘Lazada discount’, ‘Shopee code’, or ‘Grab promo code’. 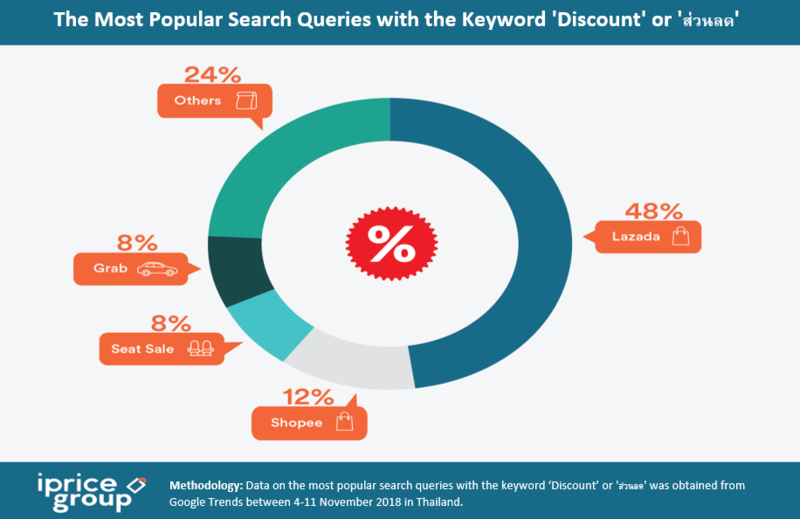 From the study, the search term ‘discount’ is a keyword that can be classified into 5 significant groups; Lazada, Shopee, Grab, travel programs, and discount coupons. It can be said that Thai shoppers are quite vigilant about the online discount event, such as the “11.11 Sales”. This year it looks like it will not just be concentrated on the November 11th event, but there are also many other e-commerce stores that is offering hot promotions throughout the week. Some may even offer these promotions before or after the festival. 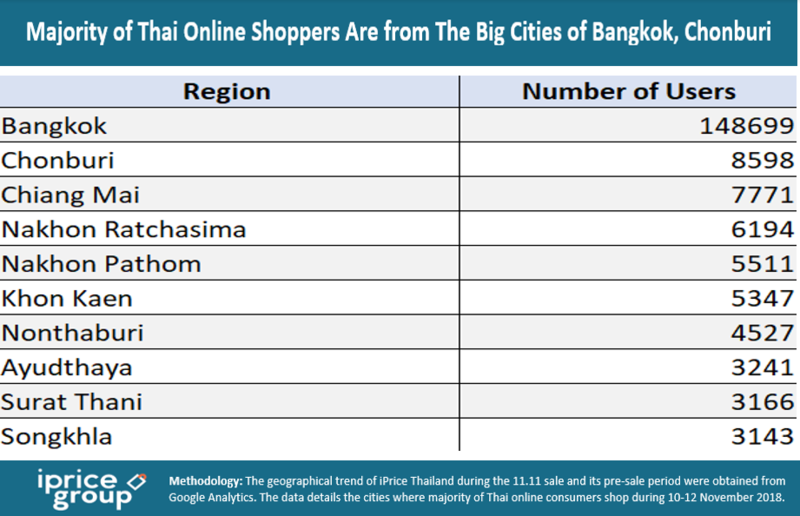 Based on the Google Trends data compilation, along with the keyword names of the top 4 e-commerce stores in Thailand, each shop will have different shoppers from different provinces. Starting from Lazada, most of the online shoppers are from Prachinburi, Phangnga and Bueng Kan provinces. Online shoppers for Shopee are mostly from Amnat Charoen, Nan, and Trang provinces. For new e-commerce store, JD Central, their online shoppers are from Ayutthaya, Nakhon Pathom, and Phitsanulok. Lastly, ShopAt24, which shares the same network as 7-Eleven convenience stores, have fans from Saraburi, Songkhla, and Bangkok, the capital of Thailand. 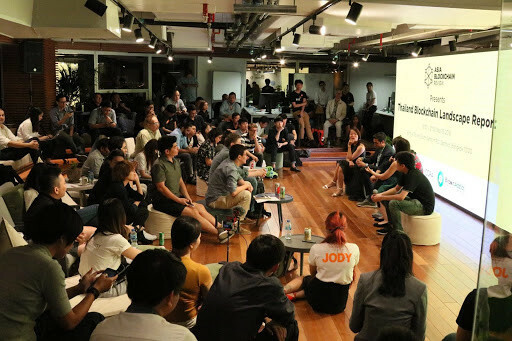 From all this information, the 11.11 Sales has become an eye-opening event for both shoppers and e-commerce merchants in Thailand. All the information was compiled by iPrice Thailand, and is supported with Google Trend search data. 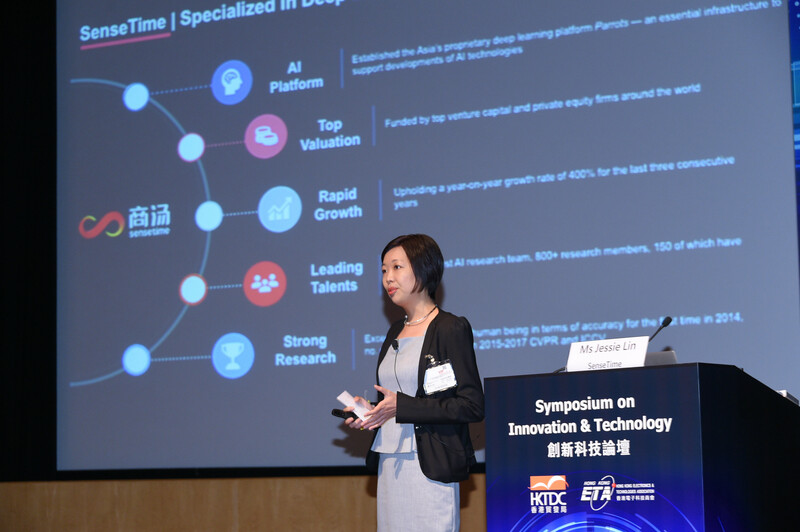 However, it is also predictable that data from the e-commerce stores that participated in the 11.11 Sales would not be so much different, and would be significant for planning next year’s promotions. Of course, it would be sure that some stores next year would creatively come up with promotional strategies that would make online visits peak throughout the whole day.